While winter approaches at DePauw University, many students have summer on their minds. Maybe it is because the weather is finally dropping into the mid 50s and below, but really the task of finding a summer internship is becoming harder, or so they may think. For students who have not secured an internship yet, there is still time. November is the time for many industries to begin promoting summer internships to college students. Companies recruit in November in order to have enough time to solidify their interns for the summer; however, this more often is the case for larger companies. “[An early start] does seem to be more the case with big companies that have formalized internship programs, because they receive a very large number of applications and it can be burdensome reviewing the very large pool of applicants,” said Christine Munn, coordinator of Internships and Career Advisor. However, many smaller companies or even large companies with less developed internship programs have opportunities that can arise later in the year. Junior Simone Deighan is one of the many examples of students who secured a good internship after the start of the new year. This past summer Deighan worked at the Indiana Design Center as a marketing intern after securing her internship through her sorority network. “A girl from Alpha Phi posted it in our group message that her boss from last summer was looking for another girl to intern, and so I just went ahead and emailed right away when I was in Thailand for the DePauw Winter Term,” said Simone. Even if an internship search does not start until January or even March, there is still enough time to secure a summer internship if the student is eager and the right resources are used. Regarding searching for internships, Munn recommended to take a “four-pronged” approach simultaneously rather than utilizing only one strategy for securing an internship. The first two prongs for searching for an internship are through internships posting sites and TigerTracks. 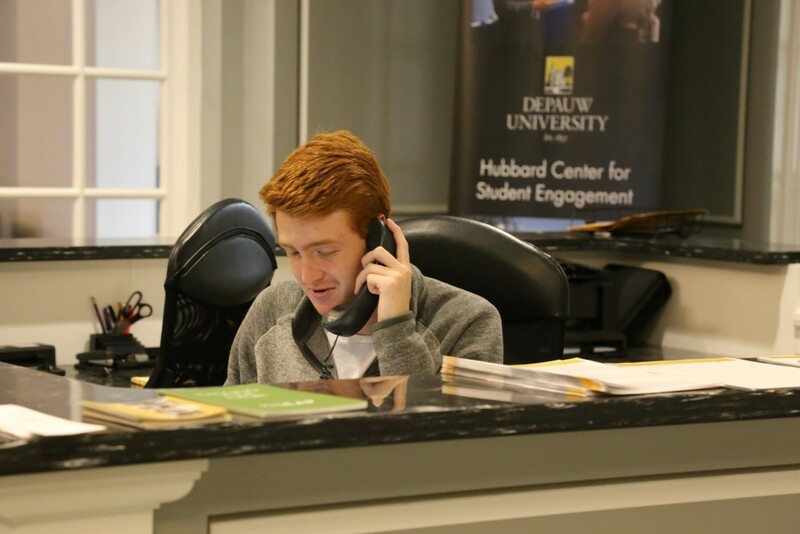 The Hubbard Center even lists various posting sites by industry categories that can be explored on the DePauw website under the Hubbard Center. TigerTracks features jobs specifically created for DePauw students through alumni as well as opportunities from outside companies and organizations. The third prong is networking. Students should first utilize their immediate circle of networks—friends, family and faculty—and then move to a broader search approach with DePauw alumni. Last is the entrepreneurial approach. Munn believes this may be the best way to create the best fit for a student. For this approach, a student would profile organizations in locations where he or she would want to pursue a summer internship. Following the search, the student would reach out directly to the company or organization and ask for an internship. “You have to take a "high touch" very professional approach going about it this way, but I have worked with many students that have simply "created" an internship for themselves with an organization by taking the initiative,” said Munn. According to Munn, this approach has no deadlines and she has worked with students that were able to secure a paid internship last minute. “Securing an internship this way ensures a perfect fit for the students interests, and a student can get really specific with the organization about what they want to learn,” said Munn. While searching for their summer internships, students should also be aware of weeding out the differences between a good internship and bad internship. Summer internships can come about in many ways and at any time, so students do not need to fret if they are running behind on the internship bandwagon.